Schiermonnikoog National Park is a national park in the Dutch province of Friesland. It was founded in 1989. 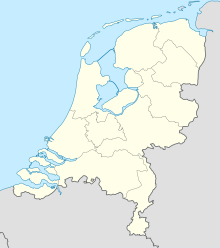 It covers about 72 km2 (28 sq mi), the majority of the island Schiermonnikoog. The island arose during the last glacial period and its shape has been very variable since then. Dominant processes are sand drifting, erosion and sedimentation along the coasts, characteristic for a tidal landscape. In former times, only few people lived on the island, most fishermen. Around 1900, the state started forestry programs to prevent sand drifting. In addition, dikes were built to protect the island and its population. Some of the marshes were embanked in the course of time and transformed to polders for agriculture. During the 20th century tourism and recreation became more important and part of the island was designated as nature reserve. At present, we find dunes, forests, polders, tidal flats, marshes and beaches on the island, as well as a small lake and a village. The island has a very rich fauna and flora. In the dunes we find common hawthorn, the common sea-buckthorn, honeysuckle; on the marshes sea lavender, sea wormwood, sea aster and glasswort. On the whole island lichens and mushrooms can be found, as well as many species of insects. On the marshes and tidal flats thousands of birds occur, such as common redshank, barnacle goose, spoonbill, hen harrier, oystercatcher, red knot, bar-tailed godwit, curlew and European herring gull. In the past the rabbit was very common, but because of the rabbit haemorrhagic disease (RHD), the species is rare now. In the sea there are gray seal, common seal, eelgrass and many species of seaweeds. Natuurmonumenten is responsible for the management of the national park and Rijkswaterstaat for coastal protection. One of the aims of the management is to make the dunes more dynamic. The bird colonies are protected through regulation of the numbers of visitors in spring and summer. The island is a popular place to visit, especially the beaches. Because the island is isolated, because the use of cars by visitors is forbidden and because there are very few inhabitants and farmers on the island, it is one of the best protected Dutch national parks. There is a visitors centre in the village of Schiermonnikoog. There is one campground and there are several hotels and restaurants. ^ "Duinen Schiermonnikoog". Ramsar Sites Information Service. Retrieved 25 April 2018. Padre Island National Seashore (PAIS) is a national seashore located on Padre Island off the coast of South Texas. In contrast to South Padre Island, known for its beaches and vacationing college students, PAIS is located on North Padre Island and consists of a long beach where nature is preserved. Holkham National Nature Reserve is England's largest national nature reserve (NNR). It is on the Norfolk coast between Burnham Overy Staithe and Blakeney, and is managed by Natural England with the cooperation of the Holkham Estate. Its 3,900 hectares comprise a wide range of habitats, including grazing marsh, woodland, salt marsh, sand dunes and foreshore. The reserve is part of the North Norfolk Coast Site of Special Scientific Interest, and the larger area is additionally protected through Natura 2000, Special Protection Area (SPA) and Ramsar listings, and is part of both an Area of Outstanding Natural Beauty (AONB) and a World Biosphere Reserve. Holkham NNR is important for its wintering wildfowl, especially pink-footed geese, Eurasian wigeon and brant geese, but it also has breeding waders, and attracts many migrating birds in autumn. A number of scarce invertebrates and plants can be found in the dunes, and the reserve is one of the only two sites in the UK to have an antlion colony. The Schleswig-Holstein Wadden Sea National Park is a national park in the Schleswig-Holstein area of the German Wadden Sea. It was founded by the Parliament of Schleswig-Holstein on 1 October 1985 by the National Park Act of 22 July 1985 and expanded significantly in 1999. Together with the Lower Saxon Wadden Sea National Park, the Hamburg Wadden Sea National Park and those parts of Elbe estuary which are not nature reserves, it forms the German part of the Wadden Sea. Muskeget Island is a low sandy island to the west of Tuckernuck Island and Nantucket, in the town of Nantucket, Massachusetts. Perdido Key is an unincorporated community in Escambia County, Florida, United States, between Pensacola, Florida and Orange Beach, Alabama. "Perdido" means "lost" in the Spanish and Portuguese languages. The community is located on and named for Perdido Key, a barrier island in northwest Florida and southeast Alabama. The Florida district of the Gulf Islands National Seashore includes the east end of the island, as well as other Florida islands. No more than a few hundred yards wide in most places, Perdido Key stretches some 16 miles (26 km) from near Pensacola to Perdido Pass Bridge near Orange Beach. 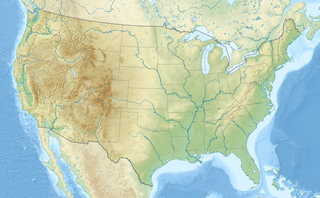 The Atlantic Flyway is a major north-south flyway for migratory birds in North America. The route generally starts in Greenland, then follows the Atlantic coast of Canada, then south down the Atlantic Coast south to the tropical areas of South America and the Caribbean. Every year, migratory birds travel up and down this route following food sources, heading to breeding grounds, or travelling to overwintering sites. Blakeney Point is a National Nature Reserve situated near to the villages of Blakeney, Morston and Cley next the Sea on the north coast of Norfolk, England. Its main feature is a 6.4 km (4 mi) spit of shingle and sand dunes, but the reserve also includes salt marshes, tidal mudflats and reclaimed farmland. It has been managed by the National Trust since 1912, and lies within the North Norfolk Coast Site of Special Scientific Interest, which is additionally protected through Natura 2000, Special Protection Area (SPA), International Union for Conservation of Nature (IUCN) and Ramsar listings. The reserve is part of both an Area of Outstanding Natural Beauty (AONB), and a World Biosphere Reserve. The Point has been studied for more than a century, following pioneering ecological studies by botanist Francis Wall Oliver and a bird ringing programme initiated by ornithologist Emma Turner. Scolt Head Island is an offshore barrier island between Brancaster and Wells-next-the-Sea in north Norfolk. It is in the parish of Burnham Norton and is accessed by a seasonal ferry from the village of Overy Staithe. The shingle and sand island appears to have originated from a former spit extending from the coast, and longshore drift means that it is slowly moving to the west and inshore. Dunes of Texel National Park is a national park located on the North-Holland island of Texel in the Netherlands. All dune systems on the western side of the island and the large coastal plains on both the northern and southern points of the island are part of the park. The park covers approximately 43 km2 (17 sq mi) and attained national park status in 2002. The visitor center is located in the natural history museum Ecomare. The Lower Saxon Wadden Sea National Park was established in 1986 and embraces the East Frisian Islands, mudflats and salt marshes between the Bay of Dollart on the border with the Netherlands in the west and Cuxhaven as far as the Outer Elbe shipping channel in the east. The national park has an area of about 345,800 hectares (1,335 sq mi). The National Park organisation is located in Wilhelmshaven. Since June 2009 the Lower Saxon Wadden Sea National Park has become a UNESCO World Heritage Site along with the Schleswig-Holstein Wadden Sea and the Dutch Wadden Sea. The North Norfolk Coast Site of Special Scientific Interest (SSSI) is an area of European importance for wildlife in Norfolk, England. It comprises 7,700 ha (19,027 acres) of the county's north coast from just west of Holme-next-the-Sea to Kelling, and is additionally protected through Natura 2000, Special Protection Area (SPA) listings; it is also part of the Norfolk Coast Area of Outstanding Natural Beauty (AONB). 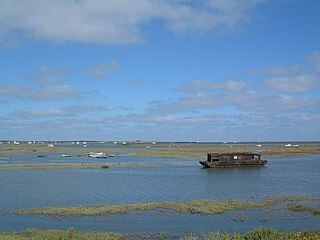 The North Norfolk Coast is also designated as a wetland of international importance on the Ramsar list and most of it is a Biosphere Reserve. Lindisfarne National Nature Reserve is a 3,541-hectare (8,750-acre) UK national nature reserve. It was founded to help safeguard the internationally important wintering bird populations, and six internationally important species of wildfowl and wading birds winter here. For the pale-bellied brent geese from Svalbard, this is their only regular wintering place in all of the United Kingdom. Pinkfooted and greylag geese, wigeons, grey plovers and bar-tailed godwits are the other visitors.